Kodi is a bliss for every cord-cutter out there and has established its reputation as one of the best media streaming player. And while there are many streaming channels like Netflix and Hulu opening up a whole new gateway of video on demand (VoD), the excitement of watching live TV is just incomparable. That is where Kodi Live TV addons come in because if you are a Kodi user, you know that while Kodi is a phenomenal platform to watch your favorite movies and TV Shows, it’s ultimate utilization would be to watch Live TV on it. Whether it’s news, a TV show premiere, or a sporting event, live TV addons for Kodi are a must-have if you really want to ditch the cable once and for all. Here are some of the best Kodi addons for live TV that are working and their builds are easily available to download from Kodi repositories. 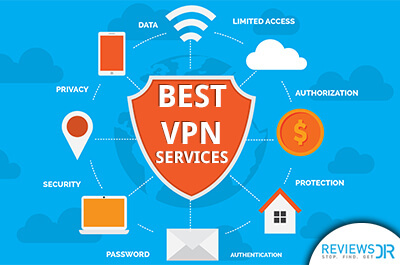 Be sure to always use a secure Kodi VPN to avoid ISP monitoring, getting access to worldwide content and ensuring maximum privacy for yourself. Are There More Live TV Addons For Kodi? 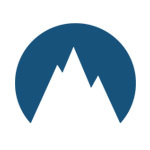 USTVNOW Plus is one of the most in-demand live TV addons for Kodi as it enables you to watch American movies and TV shows on Kodi without any cable subscription. You can use this addon by simply signing up for the service for free if you haven’t done it yet. 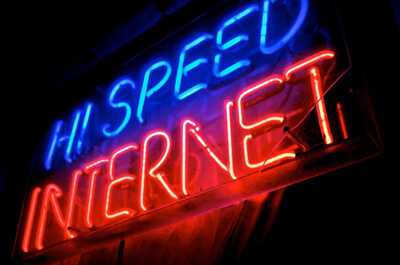 Initially, 7 channels would be readily available for streaming which includes CBS, ABC, PBS, FOX, NBC, CW and My 9. These are some of the most top-rated American TV channels out there. Now, you can anytime upgrade to plans for $19 and $29 which will get you access to up to 28 channels which would include CNN, SyFy etc. The bottom line is that if you wish to fully utilize USTVNOW Plus live tv addon for Kodi, then you have to upgrade your plan by paying a little. 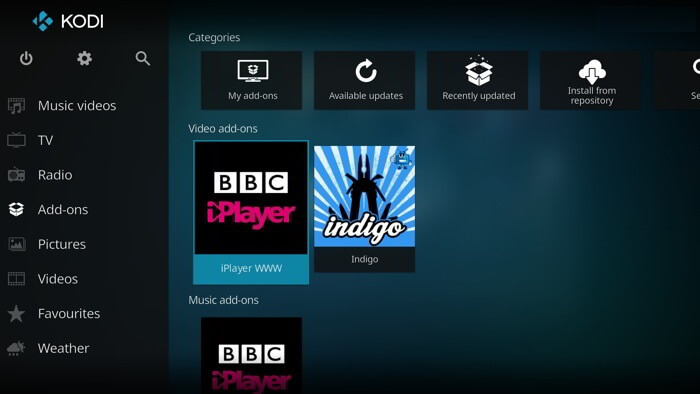 iPlayer WWW is another popular Kodi Live TV streaming addon to watch TV Shows and movies which are primarily UK-based. Bear in mind that programming and streaming content available on iPlayer WWW is also limited to UK audiences only as this particular addon limits its programming in UK for free and contains paid packages as well, but if you are residing outside of UK and wish to access the exclusive content available through the addon, you can use a VPN to access BBC iPlayer from any corner of the earth. Goodfellas is one of the most popular and widely-used live TV addon on Kodi because it offers everything from TV Shows, Movies, News to Kids channels documentaries and music. It has been created by Team Goodfellas and they make sure that whatever update they’re making in the addon or what’s yet to make is announced beforehand on their twitter handle. It offers loads of streaming options available to Kodi users and access to channels that you may never have heard of, but they are there available to stream. One of the USPs of this addon is that it allows you to access webcam stream from some of the most famous domains which also include a direct stream from International Space Station, which is pretty darn impressive. Although, you may observe a little inconsistency in the streaming as sometimes, streams do tend to go down, still, you’ll have plenty of other streaming content that’ll keep your viewing needs satiated. 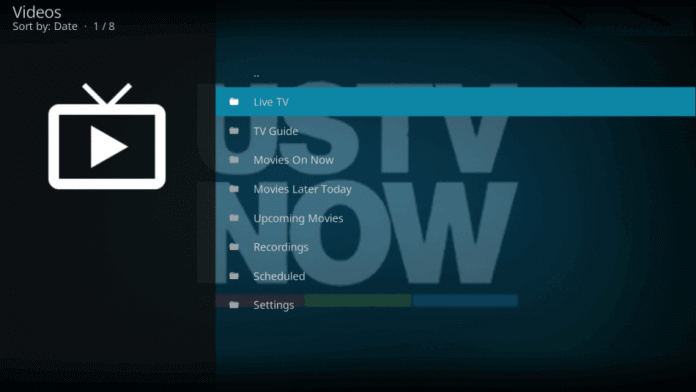 UKTVNow is one of the best and a more organized Kodi addon to watch Live TV. While it will give you access to content originating from UK, but it’s not limited to that as most of the people get confused by the name “UKTVNow” and assuming that it’ll only allow access to content available to UK audiences only. 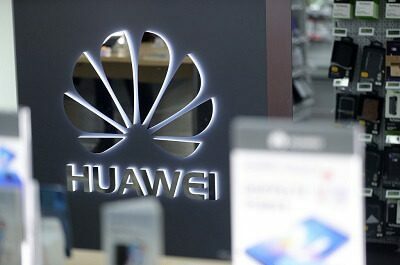 Surprisingly, it’s totally opposite to that as it offers an array of TV channels from 10 different countries divided by different categories of Entertainment, Sports, Music, News, Movies, Kids etc and access to channels such as CBS, ABC, BT Sports 1 and much more. It’s only a few of those addons which are officially available on Amazon Firestick and Android app too. 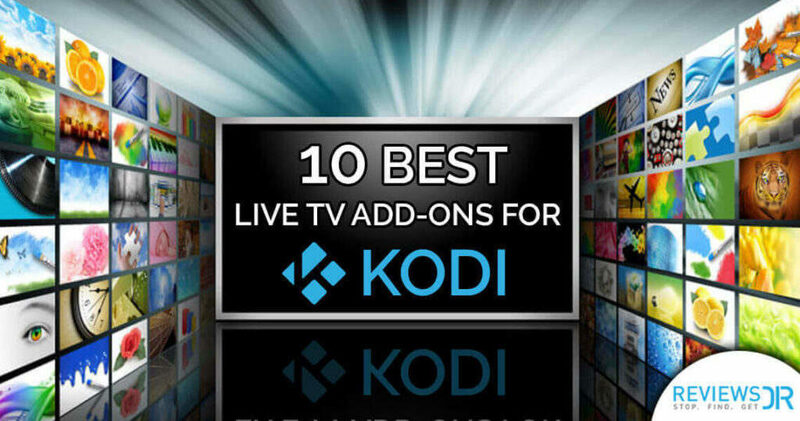 So, don’t wait and get your hands on this popular live TV addon for Kodi. 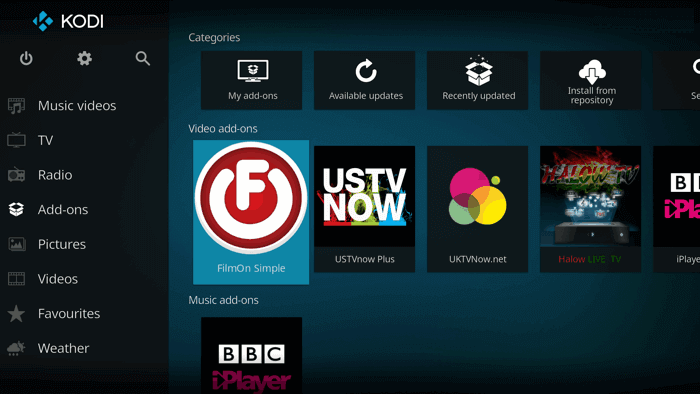 FilmOn Simple is a pure streaming Live TV addon for Kodi in the purest sense, because it actually fetches streams from a lot of free websites available online which includes both global and geo-restricted websites, so a Kodi Media center user must install a VPN on Kodi to access most of the international streams. 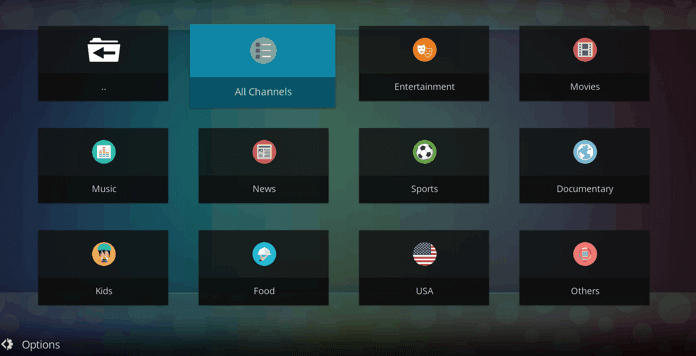 Just when you access the addon after installation, you’ll get super-excited to see the plethora of streams and channels readily available such as French TV, German TV, Latino TV and categories ranging from Entertainment, Science, Technology etc. There’s no need for any complicated setup. 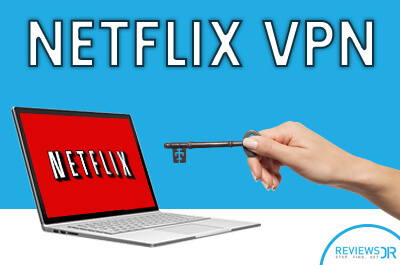 Just install it and stream the content you love. 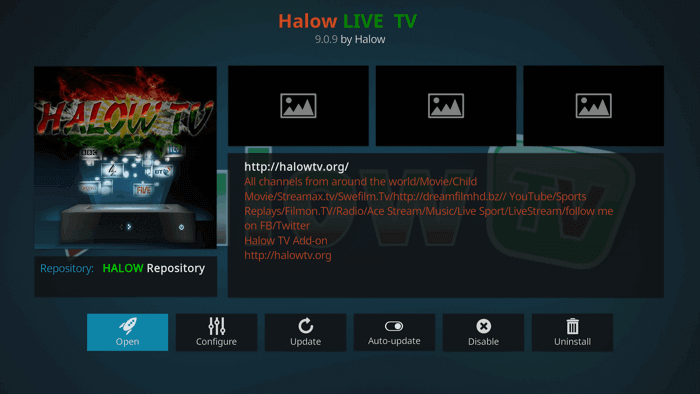 When it comes to quality streaming, Halow Live TV addon for Kodi is the addon you need to have. It can directly be installed from Halow’s official repository. 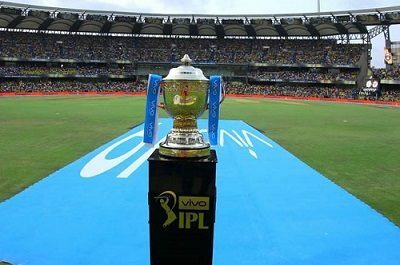 It’ll give you access to channels from major countries like USA, UK, India, France, Russia and many more. It’s an addon that’s literally too good to be true because it literally saves you money on Live TV that actually costs a lot. 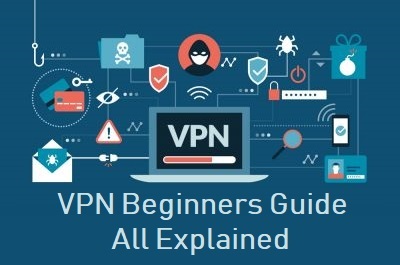 But, like mentioned before that it gives you access to channels and streams from nearly all the major countries, so you may encounter many streaming channels that are not available in your region, for which you’ll require a VPN, so, make sure that it’s installed beforehand. 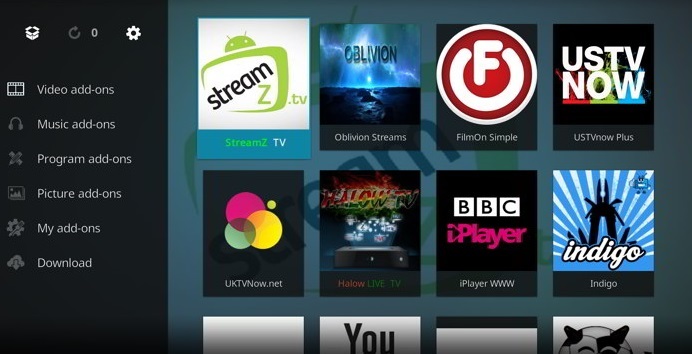 StreamZ TV operates on the concept of IPTV and gives you access to streaming channels ranging from Entertainment, Sports, News, Music, Kids channels etc. The quality of the streams is commendable and the thing which is most impressive about StreamZ TV live TV addon is that most of the streams are functioning properly almost 90% of the times, which is not the case with many live TV addons for Kodi, so, it’s definitely an addon that should be on top of your list if you want to watch content from channels like Comedy Central, ABP News, CNN etc. 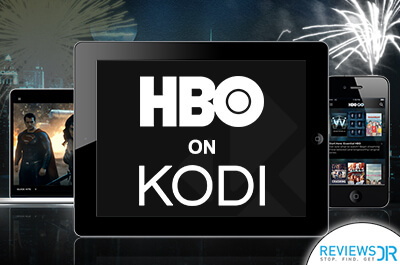 It is one of the few Kodi addons that are actually updated and maintained on regular basis. 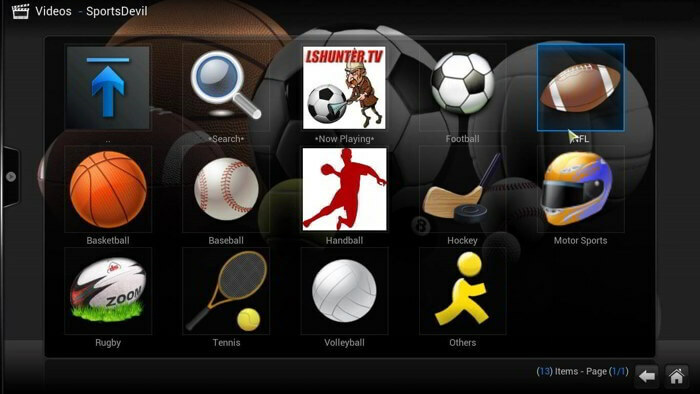 SportsDevil is undeniably the most popular Kodi live TV addons among the sports fans because it gives you access to super-famous sports channels like beIN sports, ESPN, Fox Sports and NBA TV. A few months back, it was one of the most downloaded and viewed addons on Kodi, but due to a crackdown from Government and ISPs on many similar streams, this addon went offline for a long time. But, you can still download SportsDevil addon either directly or from smash repository. While there are many streams that you’ll encounter during your exploration of this addon, we would recommend viewing Shadownet.ro because that’s the most reliable and working stream in this particular addon. If you’re into watching LiveTV on Kodi, cCloud TV is hands-down the best addon there is. From thousands of streams readily available, you get access to channels ranging from countries such as US, UK, France, Russia, Germany and many other international channels like History Channel, National Geographic, CBS, NBC, etc. 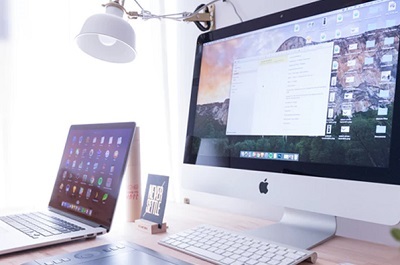 It’s more like a community-based live TV addon as people can upload and share their streams for public viewing too, which is quite similar to downloading and viewing a torrent file. The quality of streaming can sometimes get really downgraded but stabilizes after a while. Now, as we all know that Castaway is an abandoned Live TV Kodi Addon and is no longer backed by its original developers, it still got some functioning TV streams that work fine. Obviously, you have to try your luck by switching from stream to stream but the streams under “Live TV” section tends to work fine most of the time. While it was a pretty famous addon previously, it’s not the same as it was before, but still, it packs enough juice for anyone looking for a less-demanding live TV viewing. So, these were all the addons which in our opinion some of the best Kodi addons out there for streaming live TV and would help you to become the ultimate cord-cutter. But, obviously, there would be many Live TV addons that are good and needs to be shared with the Kodi community. So, this is the part where you contribute your bit by suggesting us a Kodi Live TV addon that you think is best. 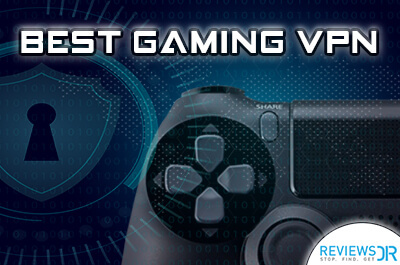 Leave your suggestions and recommendations in the comments section below.